Each subgroup is represented with one sequence per species. Species name abbreviations are shown with the IMGT 6 letters code. 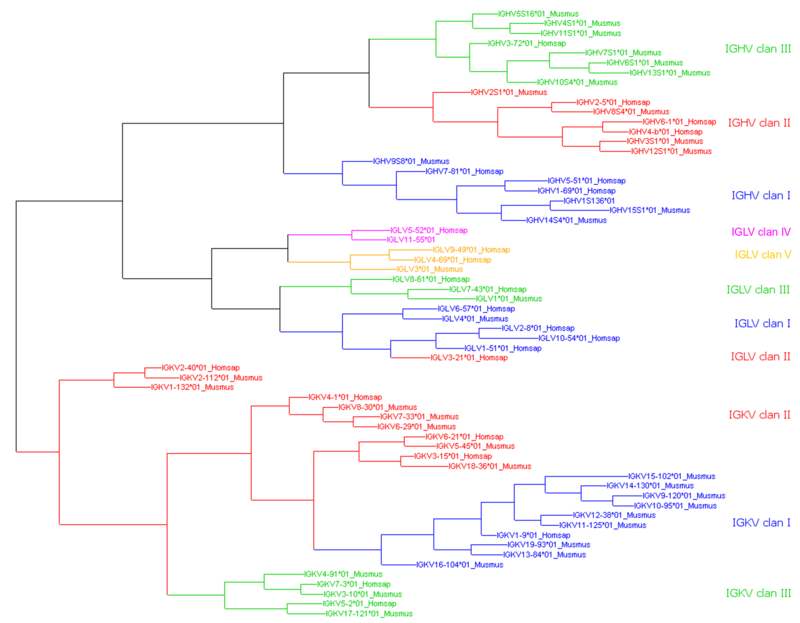 Tree was generated using IMGT/PhyloGene [1,2]. Clans are colored using TreeDyn.